Rihanna's best-selling PUMA creepers are hitting the stores again in new colours. The PUMA Creeper continues to harness the music and fashion feel of the revolutionary punk era remixed with Rihanna’s style and PUMA’s deep sporting heritage. Always bringing her personal touch and creativity to PUMA’s sports-inspired silhouettes, Rihanna continues to collaborate and add edge to classic styles. . 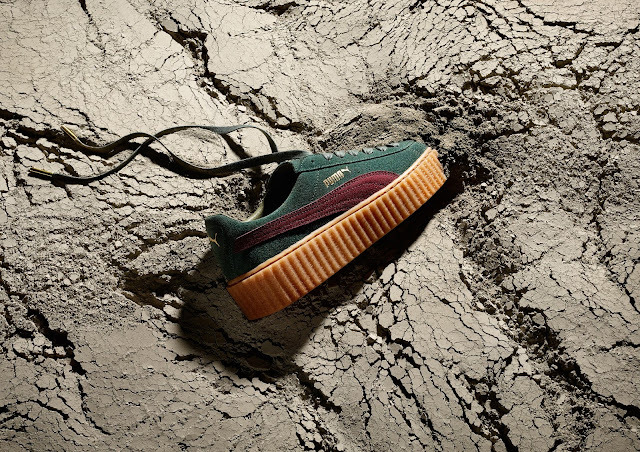 The new drop includes two new premium suede iterations: the luxe Green-Bordeaux Creeper and the stunning Black Satin Creeper featuring an all over black suede with a touch of satin on the formstripe. 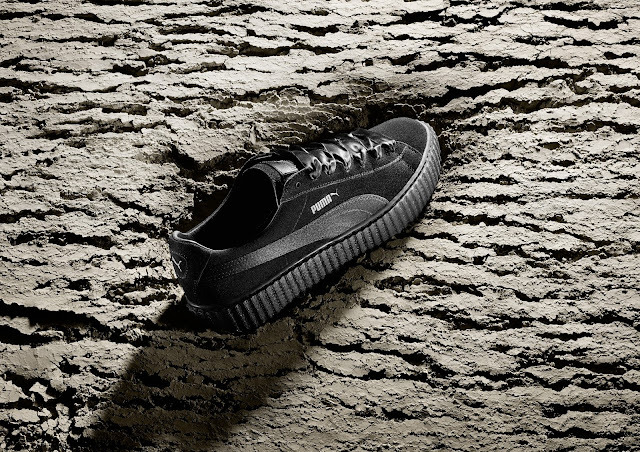 The Creeper was the first shoe curated by Rihanna for PUMA. A remix the iconic PUMA Suede with a little bit punk and a little bit rebel, it continuously sold-out since the style first debuted last year, setting the trend for platform sneakers worldwide with no sign of slowing down. Available for men and women, The Creeper drops at PUMA SELECT stores in Cape Town (Bree Street) and Johannesburg (Braamfontein).